Christopher Munoz’s LMNOC Broadcasting has agreed to purchase Darren Cordova’s DMC Broadcasting’s six stations in and around Taos, NM for $1.6 million. 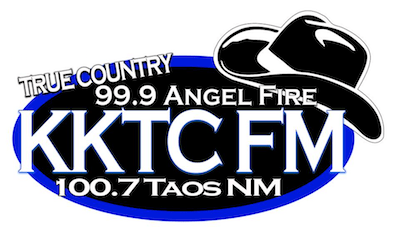 DMC owns Variety Hits “95.9 The Mountain” KKIT Taos, Spanish AC “Exitos 99.1” KXMT Taos, Country “True Country 99.9” KKTC Angel Fire/100.7 K264AE Taos, Classic Rock “Thunder 105.5” KTRZ Taos, Liberal Talk 1340 KVOT Taos and the CP for 106.5 KNFM Springer NM. Munoz, who currently operates a Houston based advertising agency and previously managed many Spanish language television stations, will begin operating the cluster via LMA immediately. Darren Cordova, President/CEO of DMC Broadcasting which owns six radio stations serving Northern New Mexico and Southern Colorado, is proud to announce that he has entered into an agreement with Mr. Christopher Munoz to purchase radio stations KXMT, 99.1 FM, KKIT 95.9 FM. KKTC 99.9/100.7 FM, KTRZ 105.5 FM, KVOT 1340 AM, and future station KNMF 106.5 FM. DMC Broadcasting Inc. and LMNOC Broadcasting LLC have entered into an Asset Purchase Agreement which will be filed this week with the Federal Communications Commission. The parties, pursuant to FCC rules, have also entered into a Local Marketing Agreement, (LMA) which allows LMNOC Broadcasting to begin programming and marketing the stations as early as this week.